What was the Native American philosophical tradition? 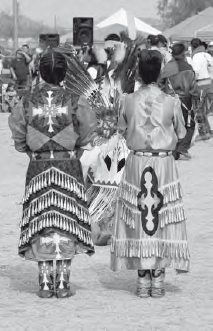 There are as many Native American philosophies as there are distinct nations and tribes. Over most of its history, their philosophies were transmitted orally from one generation to the next. As American indigenous cultures and tribes were destroyed by war and the loss of ancestral lands, these transmissions were largely lost. Some transmissions were recorded by early anthropologists in condescending ways that distorted them. There are contemporary attempts to reconstitute Native American traditional oral knowledge, as critiques of Western philosophy, religion, technology, and economics. Such critiques now form the content of Native American or Indigenous American Studies, as well as the late-twentieth century philosophical subfield of Native American Philosophy. However, the speeches of eighteenth and nineteenth century Native American leaders who sought to resist removal to reservations and preserve the lives, cultures, and lands of their peoples endure as unreconstituted early American philosophy. Noteworthy in this regard is Teedyuscung, who, when he spoke at treaty councils in Pennsylvania, began: “I desire all that I have said … may be taken down aright.” Teedyuscung, Tenskwatawa, and Sagoewatha spoke like Americans. For Native American tribes it has been a struggle to preserve their rich artistic and spiritual values. Native American philosophy has become a subject of interest at universities in recent years (iStock).